The division was created for the first Legislative Assembly election in 1974. It was named after the former Arnhem Land Reserve which in turn took its name from the Dutchman Abel Tasman’s ship the ‘Arnhem’. Tasman explored the Gulf of Carpentaria and the north-west coast in 1644. In the 2015 redistribution Arnhem lost Milingimbi and Ramingining to the division of Nhulunbuy, gained Jabiru and Kakadu from the division of Arafura and Barunga, Beswick, Mataranka and surrounds from the division of Stuart. This division is located in the north-east of the Northern Territory. It includes Groote Eylandt and parts of the East Arnhem and Roper regions. 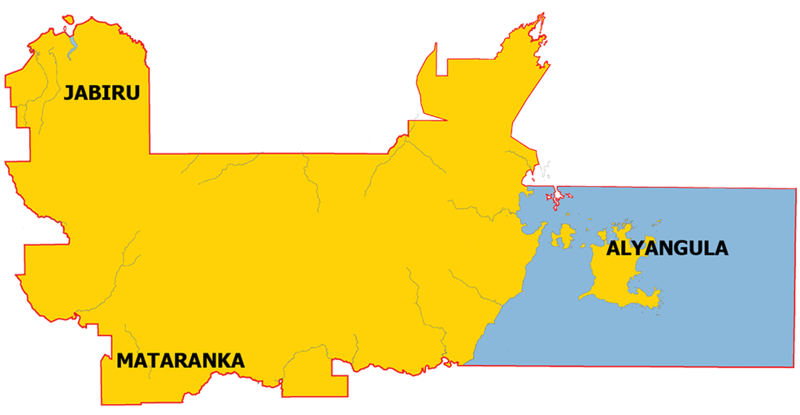 The major communities include Barunga, Beswick, Mataranka, Jabiru and Kakadu.